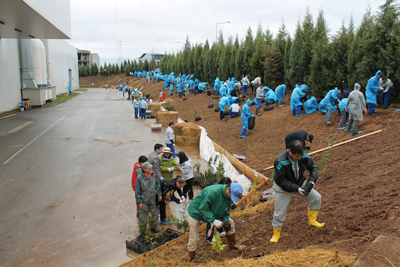 The purpose of planting a natural forest is to grow the forests comprising entirely natural species of trees that would eliminate the damages caused by our wastes based on production to the environment in line with the environmental management system. We have received support from Professor Akira Miyawaki of the Yokohama University as well as a 20-member team of volunteers led by Kazue Fujiwara. 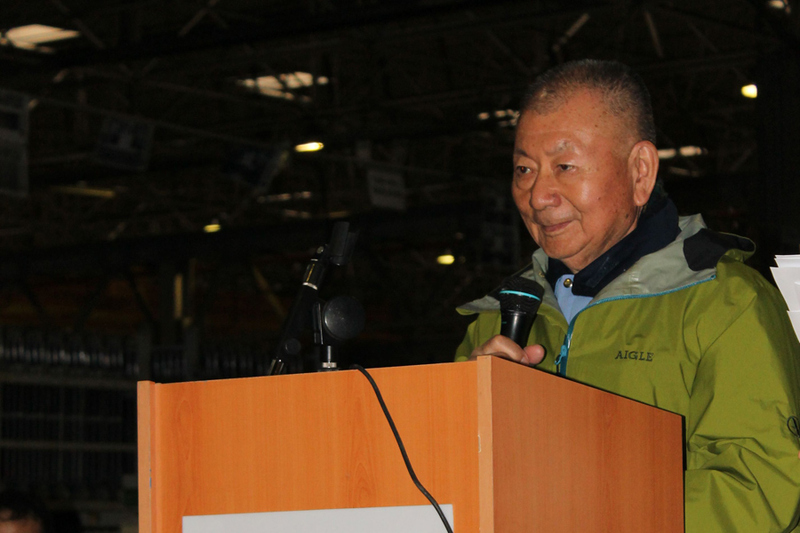 84 year old Professor Miyawaki is the head of the international environmental sciences Center. He is known as a person, who has planted the largest number of trees in the world. 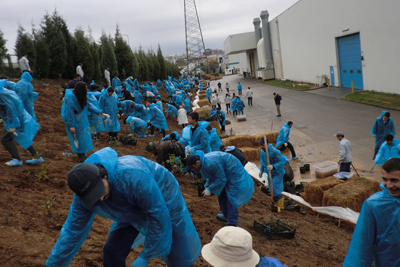 He conducts world-wide research using the special Miyawaki method and participates in the TV programs frequently. Instead of planting ready saplings, we focused on the “Entirely Natural Species” of the Mediterranean green and planted 3.957 saplings from the seeds of figs, pears, terebinth berries, Black Sea daphne, judas trees, oaks, Turkish oaks and white-flowered hawthorn in 2011 and 2012 using the Miyawaki method. - Survive winter and summer continuously. 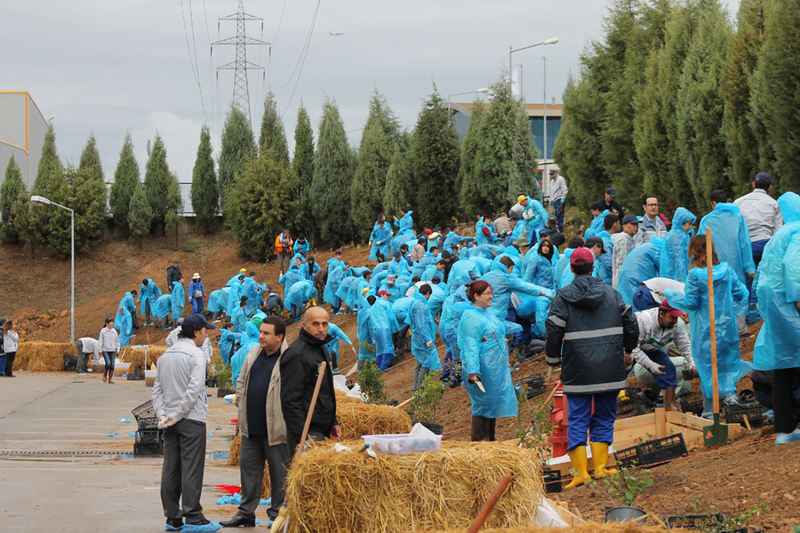 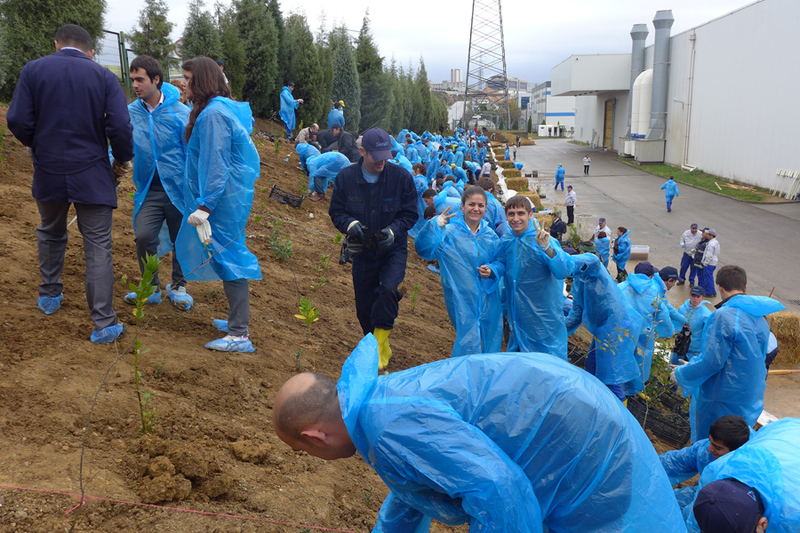 We are planning to plant 10.000 trees under our forestation project. In the project that was initiated in 2011, we shall plant the final tree in 2014. After completing the planting works, we shall continue with the growing and maintenance of the plants. 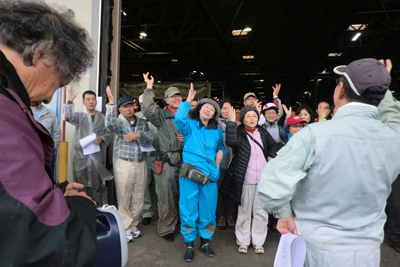 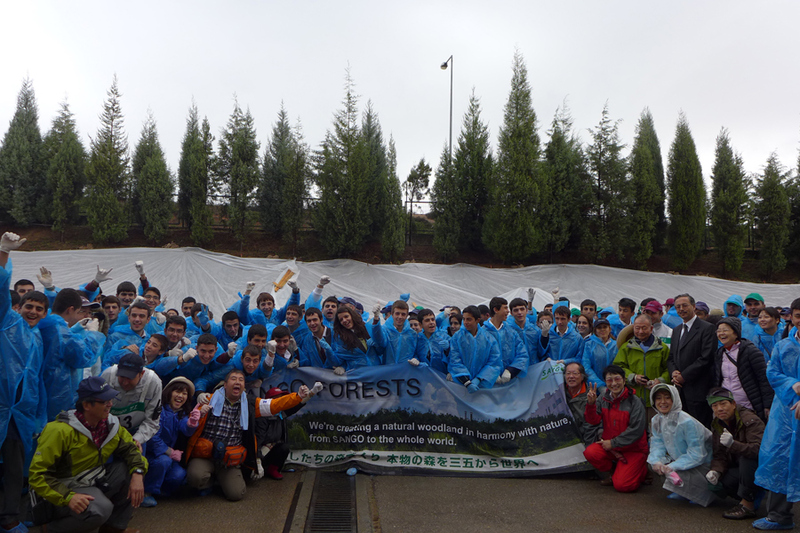 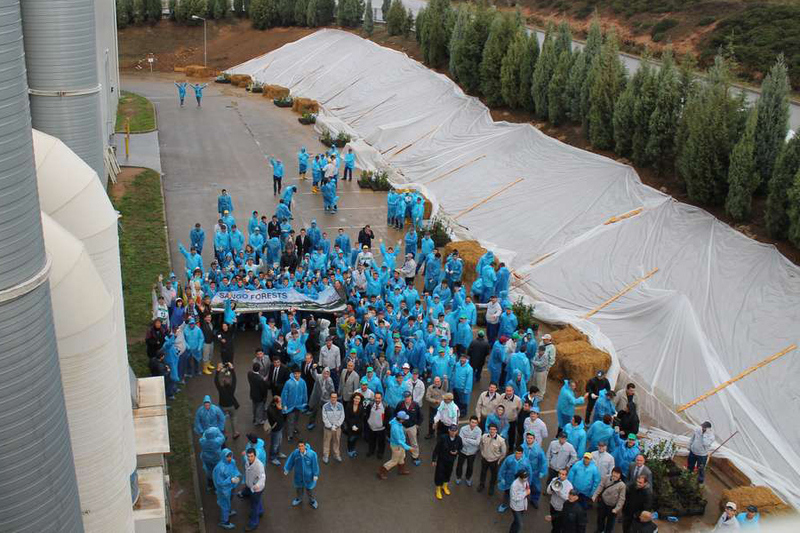 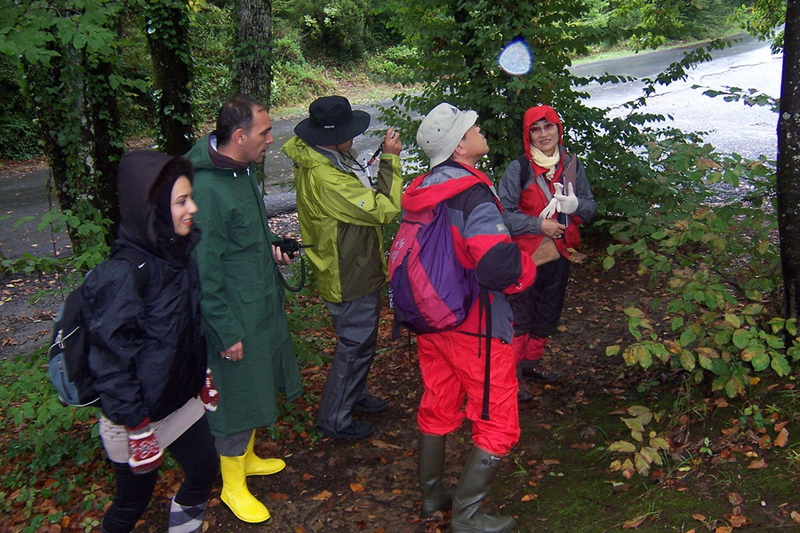 Our company continues the forestation activities not only as Sango Turkey, but in Japan as well.